There are a great many people who are not attending their hearing tests as an adult; unless they feel that something could be wrong. As a child, you go through hearing tests at school to check how well you can respond to speech and different tones. As an adult, you should be getting your hearing tested every ten years until the age of 50, then every three years after that. You should book in to see your audiologist if you feel your hearing is getting worse before your next test is due so that you can put preventive and supportive measures in place before it gets any worse. 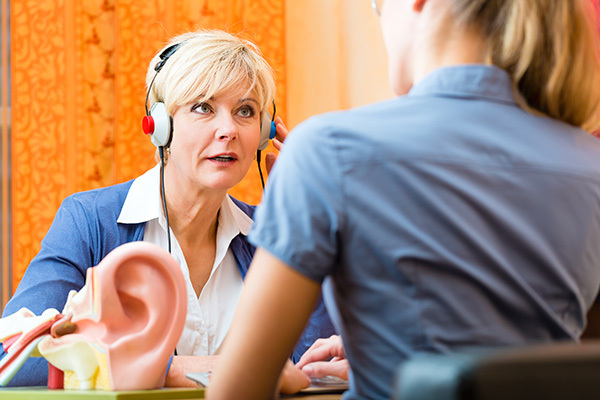 An audiologist will perform a set of tests with you to determine how severe your hearing loss has become over time, and they will then sit with you to go through the results and discuss with you what comes next. An audiogram describes the chart where your hearing test results will be written. Your hearing is going to be measured in loudness and frequency and your audiogram will show how loud the sound should be, and at what pitch you should be hearing it. The horizontal line on the audiogram measures the frequency and this is always measured in Hertz. The frequency represents the pitch you hear and increases gradually from left to right and the range most commonly used is 500 Hz to 4000 Hz. Your audiologist will use these results to talk you through what comes next, what hearing aids you may need and whether your hearing can be improved. To give you an idea of how bad your hearing loss is, leaves rustle at 25 dB and an ambulance speeds past at 120 dB. If you have trouble hearing an ambulance, then you could be suffering profound hearing loss and need to get some help from the audiologist. The results of your hearing tests can assist you in the future and will be added to your medical file, so never feel embarrassed by them. Your hearing is not something you should push to one side, so keep your next appointment.